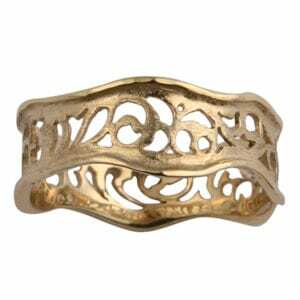 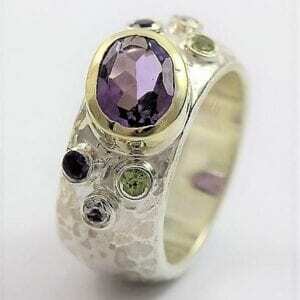 The original and distinctive handmade spinner rings designs. 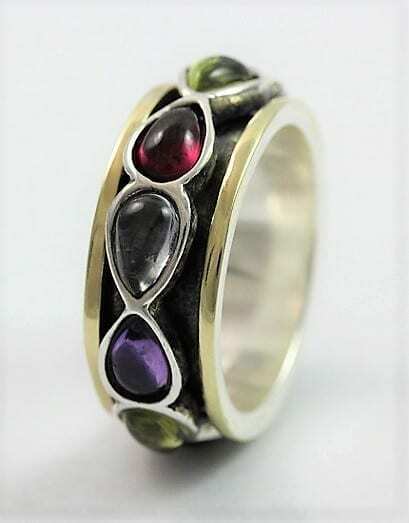 Feature spinner sterling oxidised silver set with multicolour gemstones with 9k gold edges. 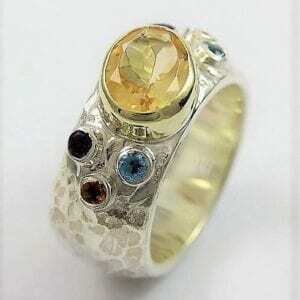 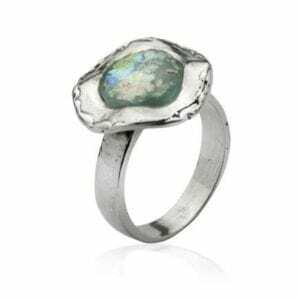 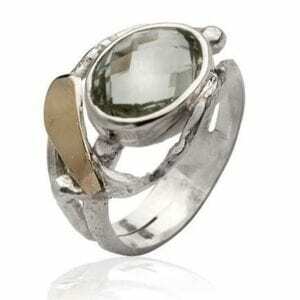 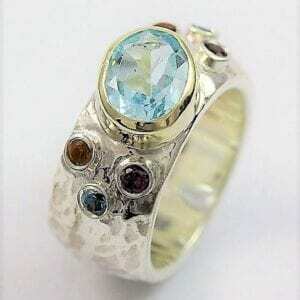 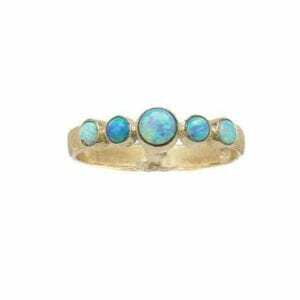 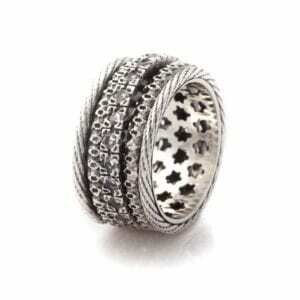 Elegant sterling oxidised, silver and 9k gold ring, set with gemstones.